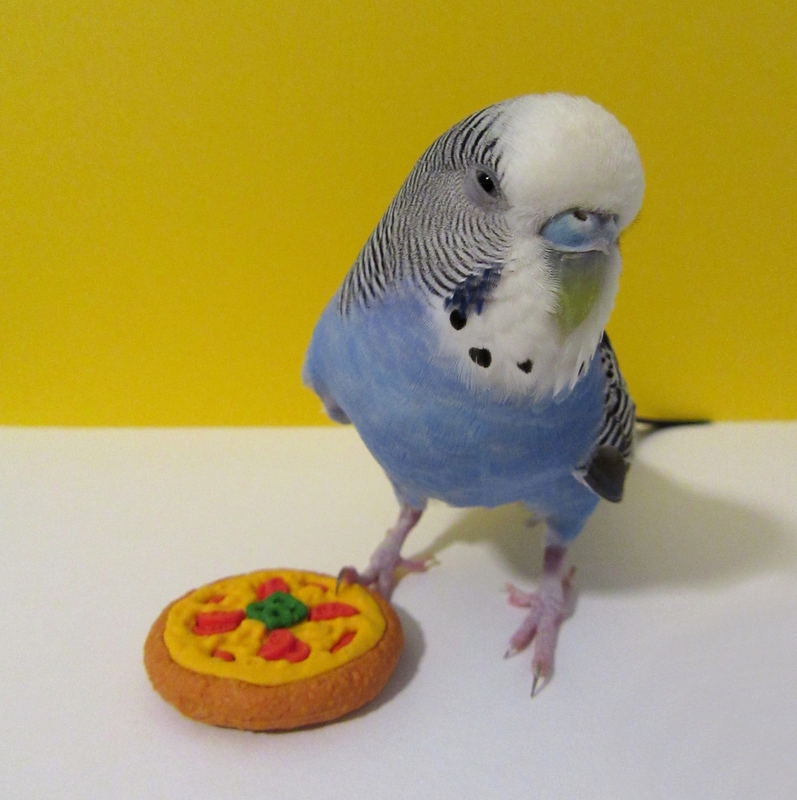 This entry was posted in Budgie food, Holiday Fun and tagged budgie, budgie food, Cooper, holiday fun, National Pizza Day, parakeet, Pizza budgie by Michelle M.. Bookmark the permalink. 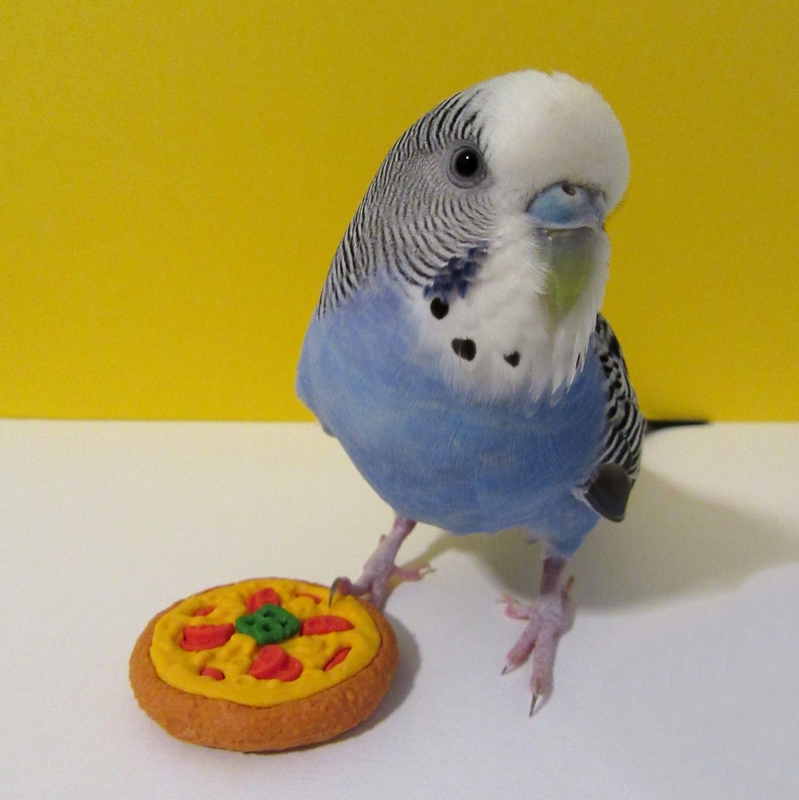 In the second one she looks skeptical about taste of the pizza without millet. Ha! I was thinking she looks ready to fight over the lack of millet. Cooper cannot be tricked!!!! Go get the millet!!! She did get her millet that day. We want to keep the Booper happy :).